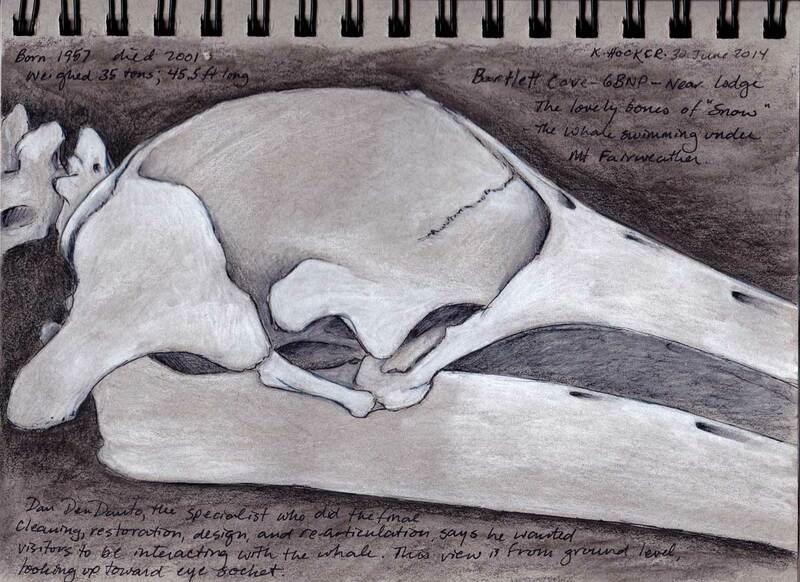 The recent installation of a humpback whale skeleton at Glacier Bay National Park has drawn me out to Bartlett Cove several times now to observe and sketch. At about 45 feet long, it’s is apparently the second largest humpback whale skeleton now on display in the world. The whale was a female, hit by a cruise ship in 2001. After she was towed to a nearby beach, her bones were collected and partially cleaned by the community of Gustavus, then cleaned further, restored, and assembled by Whales and Nails Studio in Maine. Two trips across North America (about 8,000 miles) seem like a long journey, but if “Snow” made the migration to Hawaii and back every year of her life, her bones had journeyed almost 250,000 miles already. 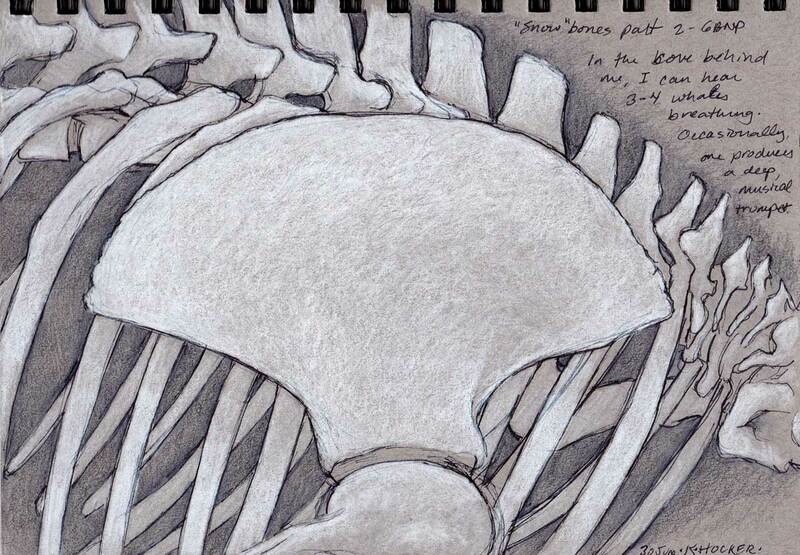 The bones are fascinating to draw. Difficult because of their tremendous size and the lack of places to stand for a distant perspective, but also easier in a way because I have utterly no preconceived notions of how they should look, and so I am forced to draw what I see.